I popped into Superdrug at some point over the Black Friday weekend, and found myself in the midst of a triple points promotion. I obviously saw that as my time to stock up on life's essentials. Whilst in there I came across the B Beauty stand, Superdrugs own line of make up and skin care. 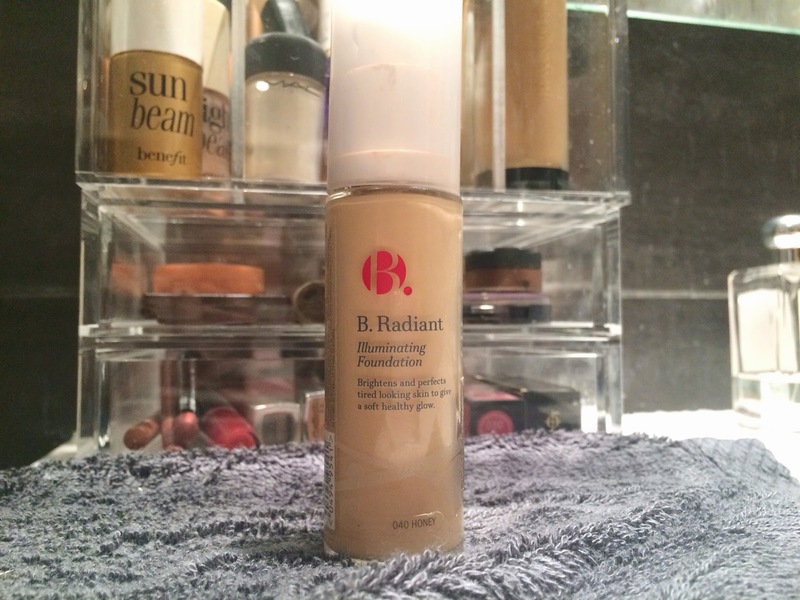 I'd heard mixed reviews in general but was drawn to the Illuminating Radiance foundation like a magpie drawn to gold. I love a radiant finish, so I thought it was worth a try. The foundation applied like a disaster. It started off light and easy to work with, but within seconds dried out into a cakey inflexible mess. The strangest thing I noticed was a peculiar smell, almost like hair dye and certainly not like something you want to smother all over your face. The finish was almost the exact opposite of illuminating. My skin looked flat, patchy and smelt like ammonia. Not exactly what you expect from a foubdation. Ironicly, my skin actually looked a whole lot better before I applied it, and it is now gathering dust in my make up graveyard. So, there you have it. If your in the market for a new foundation, I'd stay away from this one. And if your the curious type, please buy it just so we can talk about the bizarre bleach-like smell. What's that all about?! Have you tried this before? What other products have disappointed you recently? Tell me in the comments... Let's be Debbie downers together! :) at least it's saves other people wasting their pennies, and offending their sense of smell! This sounds awful! There is no shame in not liking something- we can't win with everything! I'd always wondered who made the B. line. I can't believe I never put two together seeing as I've only ever seen it in super drug! I've also had a disappointing product recently, from no other than Bobbi Brown! Maybe your product had gone bad? I'd wondered what this was like. Some of the superdrug own range is really good and had thought about trying the foundation. Thanks for the review - it saves me some pennies!